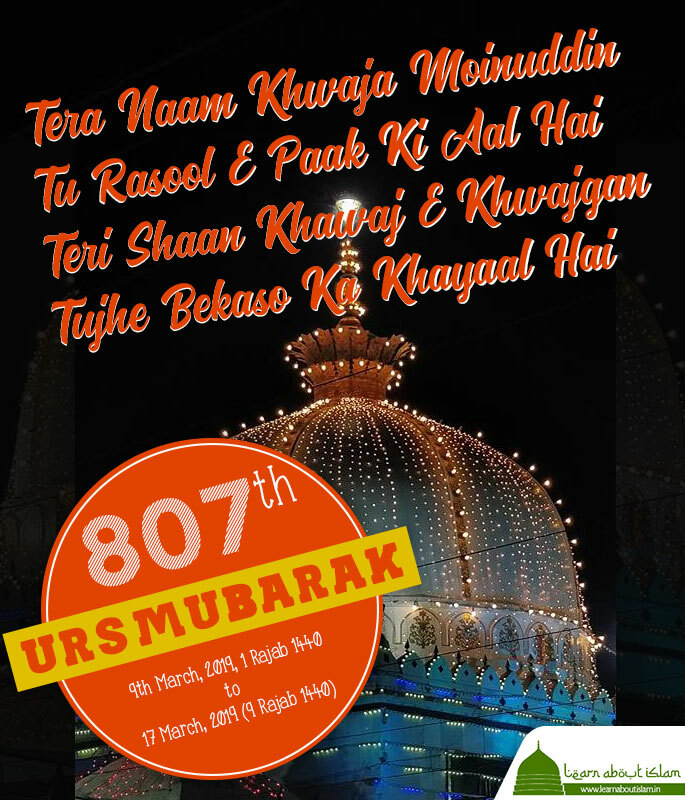 The Schedule and Event details for 807th Urs of Hazrat Khwaja Moinuddin Chishty, Gareeb Nawaz at Ajmer, Rajasthan, India. Ajmer Sharif Urs 2019 Details as below. 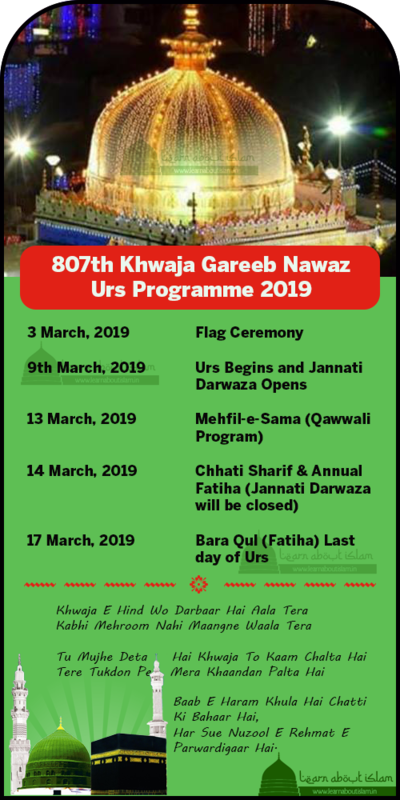 On the 9th of March, 2019, the Urs Mubarak begins with first Ghusl after Isha Namaz and later Mehfil-E-Sama is Organized. On this day the Jannati Darwaza is also opened. This is the main day of the URS. This day is also called the Chhati Sharif. The Qul Fathiha (Annual Fatiha) is also organized on this day at 1.00 pm before Zohar Namaz. Jannati Darwaza will also be closed for the people. ‘Hasan‘ Kyon Na Ho Fir Mehfooz Aqeeda Teraa..